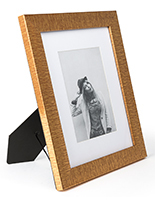 Media Size: 5" x 7" / 6" x 8"
This gold easel back picture frame for a standard 5” x 7” photo or artwork will also fit a 7.5"w x 9.5"h image when the white mat is removed. 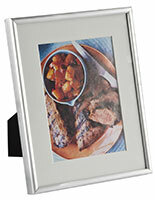 Display your favorite family and travel photos on a wall using the included mounting clips, or mount it on a tabletop. 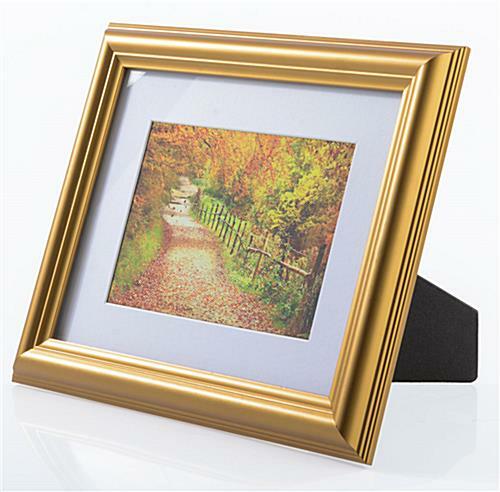 A glass lens protects the contents of this easel back picture frame. 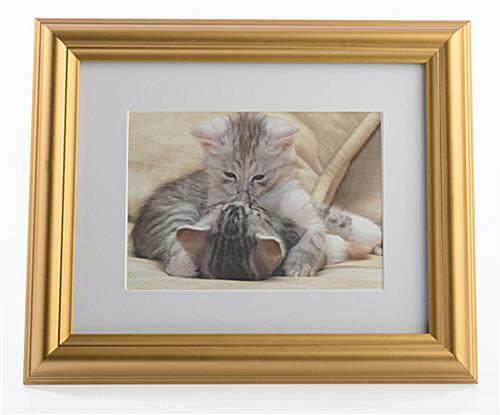 This framing is displayed vertically, but it can also be viewed horizontally. 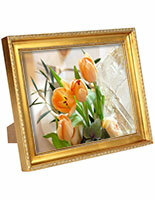 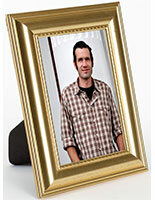 This picture frame has a beautiful finish with an antique “vibe” that also works well in contemporary settings. 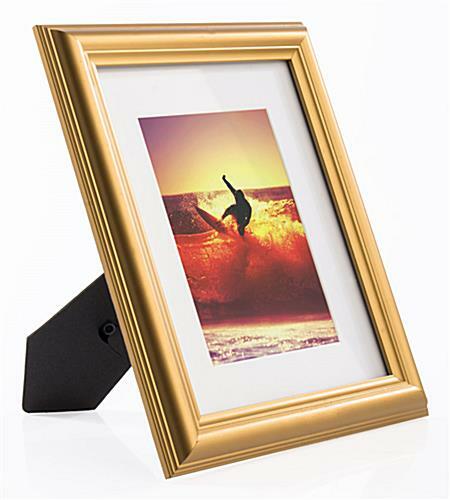 This photo stand is constructed of durable polystyrene to stand the test of time. 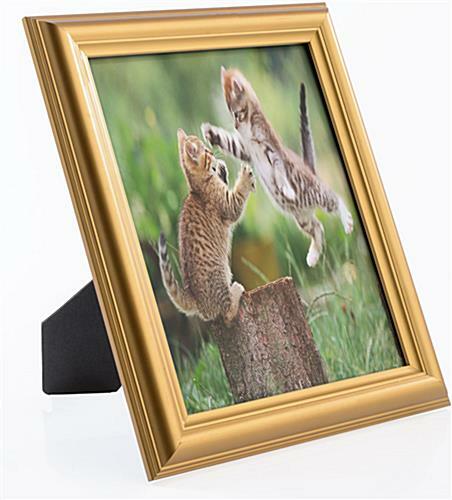 Each of these desktop displays can be purchased in bulk for deep discounts. 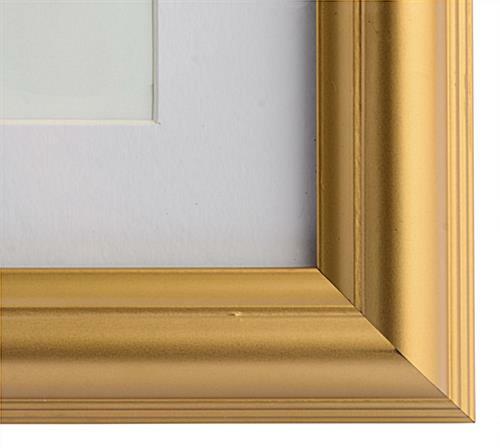 Please note: There may be minor blemishes in the finish, but they won’t detract from the overall beauty of this frame. 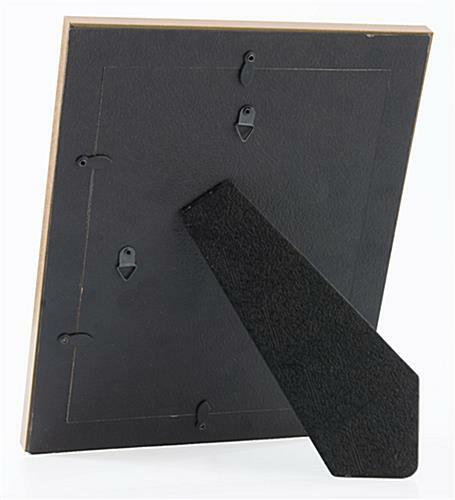 10.0" x 12.1" x 1.0"
5" x 7", 6" x 8"